Our varietals change from year to year. We have a standard set that we've added more to. IF you are looking for certain color, size, fragrance or life of bloom, please let us know in the comments field. White, full double, round peony flower. Opens slowly and becomes a very large flower on strong, sturdy stems. This peony has a lovely fragrant smell. Named in honor of the well known peony grower and author, Allan Rogers. A beautiful and elegant white peony. Charles White open to pearl white outer petals and a nice round white center with a light yellow-golden glow to it. It has some of the darkest green foliage of any peony, and grows on strong tall stems. Duchess de Nemours is a lovely ivory white peony. It is very full double/bomb bloom with just a hint of a yellow glow in the center. It has a light spicy fragrance and lasts a long time in a vase or a bouquet. Duchesse de Nemours. Duchess de Nemours is a lovely ivory white peony. It is very full double/bomb bloom with just a hint of a yellow glow in the center. It has a light spicy fragrance and lasts a long time in a vase or a bouquet. As the name implies Bowl of Cream is a creamy white, full double peony, that opens to large 8-9" blooms in a light bowl-shape. It has strong dark stems and foliage with a lightly fragrant smell. 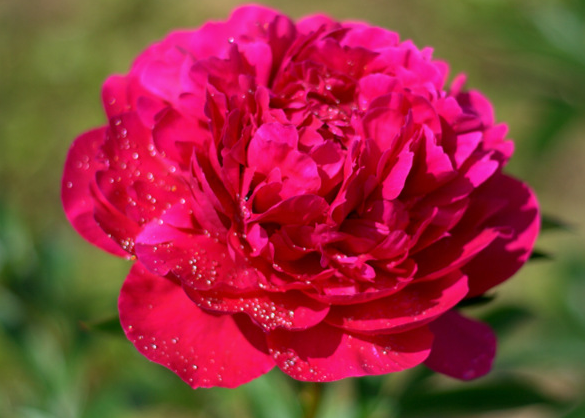 Felix Crousse is the largest of the hot pink / fuchsia peonies. 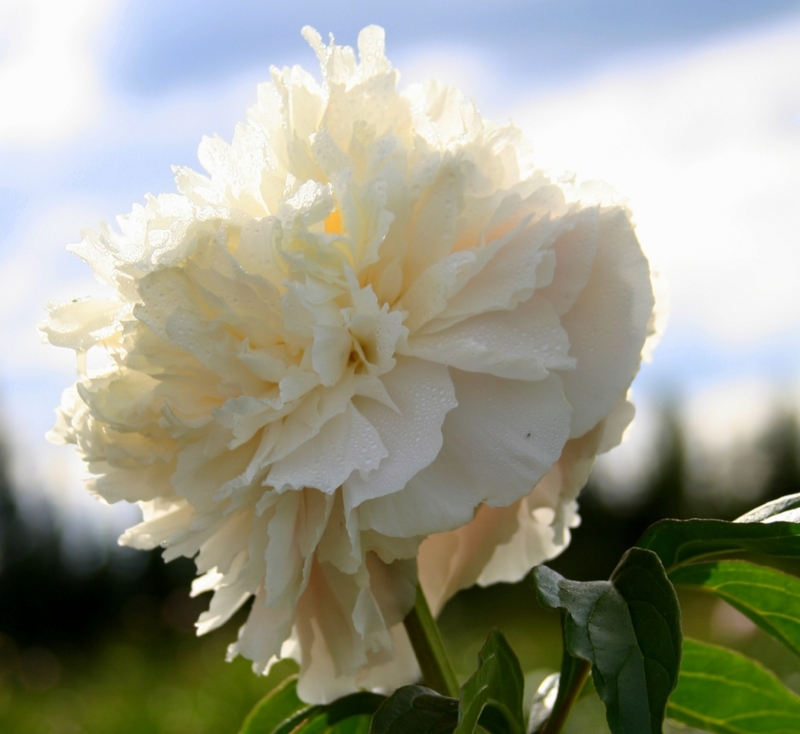 It is full double with well scalloped petals that ruffle in a light breeze. Felix has a pleasant fragrance that delicately fills the room. 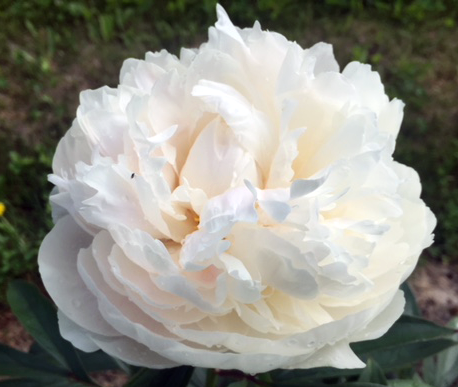 Festiva Maxima is the peony you want if you want a clear white flower.It is a full double, clear white peony with small red highlights on the tips of a few petals. Leave the red in for texture or snip it out. Festiva has a light a clean fragrance and excellent vase life. Kansas is a bright red, early blooming peony. This large, double peony, is striking in bouquets or centerpieces. Try it with white of lighter peonies to steal the show! Kansas has a light fragrance that will fill the room. Excellent red peony. Large, round-shaped blooms, show off the watermelon-red color that run throughout the entire flower. It grows on very sturdy, long strong stems. The dark foliage provides a great contrast to this beautiful red favorite.